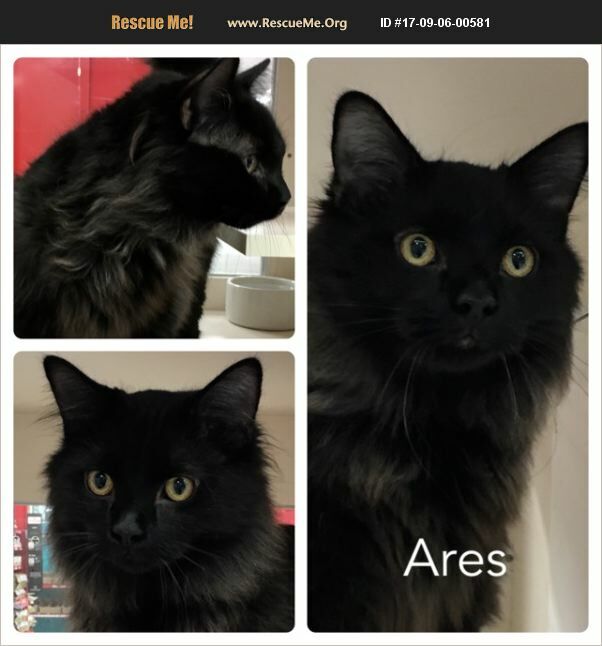 Named for the War god of Greek Mythology, Ares is a plucky fellow who gets along great with people, cats, and other dogs. He loves his foster dog sisters and will run up to them and greet them with an affectionate leg rub and some purring. He can often be found scampering about the house in what might be perceived as a mischievous fashion, but in actuality he is patrolling the home and keeping it safe from intruders. He likes to follow around his foster brother Handsome, so he can keep learning about how to be a good guard cat. He would do well in a home with lots of places to explore and he would do great in a home with other cats or dogs, or both. He was born mid-April to a stray momcat. His sister is Phobos. Our adoption fee for kittens under 6 months old is $125 or 2 for $200, which includes them getting fixed, microchipped, tested for FIV and FeLV, and up to date on vaccines. If you would like to meet a variety of our kittens, many not listed here yet, please check out our regular adoption events, Sundays from 12-4 at the Vernon Hills Petco!